If you’re looking to train for a career where there are more benefits than risks, then becoming a pharmacy technician might be a right fit. In just 10 to 12 months, you can complete the training to become a pharmacy technician and launch an exciting and rewarding career. Careers in healthcare are growing at a rate that is faster than the average for all occupations due to the aging baby-boomer population and increase in accessibility to coverage and medications. Jobs for pharmacy technicians are projected to grow nine percent from 2014 through 2024 according to the Bureau of Labor Statistics (BLS). Job opportunities are promising in general, but are even greater for those who take the Pharmacy Technician Certification Exam (PTCE). Pharmacy technician programs prepare students for success on the exam and equip them with the practical knowledge and skills to confidently take up their role in community or institutional pharmacies. Although certification is not mandatory, more and more employers require technicians to demonstrate their competency to assume the expanded role that technicians hold in the pharmacy. The profession is indeed rewarding, but for those who want to do more, a career as a pharmacy technician might be just the first stop on the way to other lucrative careers in health. Fayetteville Community College hosts a pharmacy technology program that culminates with a diploma or an associate’s degree. The program is accredited by the Pharmacy Technician Accreditation Commission (ASHP/ACPE) is operates within the approved standards. 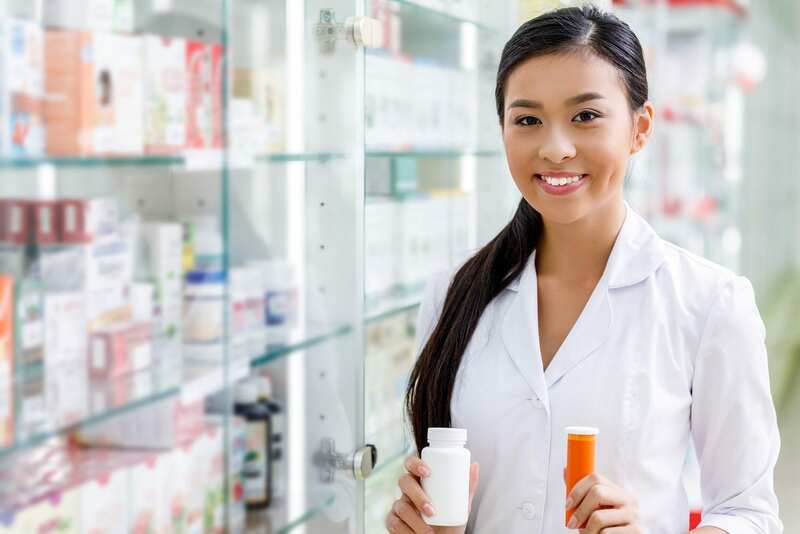 Students develop the skills and acquire the knowledge to assist a licensed pharmacist with the receipt, preparation, and dispensing of prescriptions. The curriculum includes classroom, hands-on laboratory, and clinical learning experiences. Much of the theory is delivered online to accommodate working adults. The diploma program runs for three semesters and requires completion of 46 credits. Prerequisite courses include one unit of biology, one unit of algebra, and a high school diploma. The associate degree program is 5 semesters. Prerequisites include a high school diploma, biology, algebra, diploma in Pharmacy Tech, and current certification in good standing with the Pharmacy Technician Certification Board. Students must complete a total of 67 credits to earn the Associate Degree. Areas of study include introduction to computers, basic anatomy and physiology, pharmacy practice, introduction to pharmacy, pharmacy calculations, sterile products, writing and inquiry, trends in pharmacy, community pharmacy, and general psychology. The programs admit new students for the fall semester. Applications should be submitted by January 30th.Tuition for the diploma program is $3,336 for in-state students and $11,400 for out-of-state students. Wake Technical Community College prepares adults for a successful career as a pharmacy technician where they will assist a licensed pharmacist with the duties a technician can legally perform. The program leads to a Diploma in Pharmacy Technology. However, an associate degree program is also available for those who would like to complete an academic program consisting of general education courses in addition to the pharmacy technician basics. 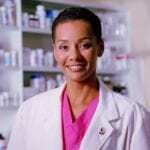 Through the comprehensive curriculum, students will gain an understanding of pharmacology, medication therapy, drug uses, actions, interactions and side effects, pharmacy practice, purchasing and inventory, pharmacy law and regulations, drug delivery systems, pharmaceutical calculations, anatomy and physiology, and trends in pharmacy. The hands-on lab experiences will help students increase their skills in compounding IV admixtures, interpreting prescriptions, pharmacy computer software, IV admixtures and parenteral nutrition, veterinary dosage forms, and critical thinking, The clinical experience is another important element of the program designed to increase knowledge in filing insurance claims, automated medication dispensing systems, customer service, robotic pharmacy equipment, quality improvement, and long-term medication therapy. To earn the diploma, students must complete 40 credit hours or 66 credit hours for the associate degree. Attend a mandatory departmental orientation upon acceptance. At a rate of $76 per credit, the AAS degree program will cost $5,016 for in-state tuition. Other expenses include health and medical requirements, liability insurance, fees, CPR certification, and uniforms and equipment. Miller-Motte Technical College facilitates a five-week program designed to prepare students for success on the Pharmacy Technician Certification Exam. Instructors review essential topics like medication compounding techniques, information systems, safety, quality insurance, avoiding medication errors, receiving prescription data, and sterile and non-sterile wants to prepare prescriptions. The program is offered based on availability. Contact an admission’s representative to find out more about availability and cost.